Bitcoin price corrected lower recently and found support near the $7,250 level against the US Dollar. There is a major bullish trend line forming with support at $7,400 on the hourly chart of the BTC/USD pair (data feed from Kraken). The pair looks set for more gains in the near term if it succeeds in breaking the $7,640 resistance. Bitcoin price is moving nicely above $7,400 against the US Dollar. 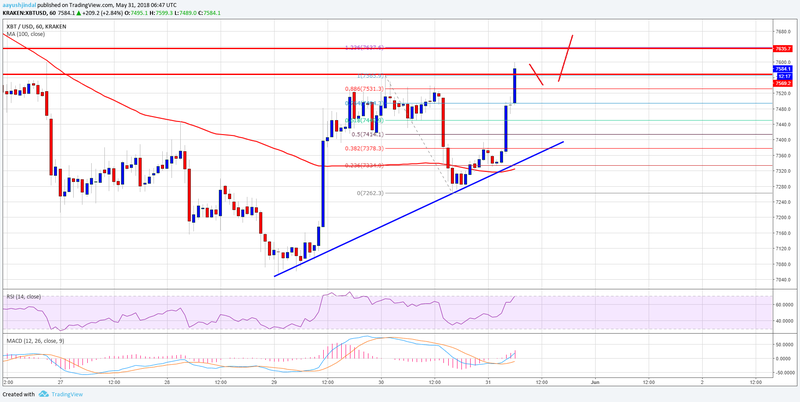 BTC/USD must clear the $7,600 and $7,640 resistances for an upside acceleration. After trading above the $7,500 level, bitcoin price faced sellers near the $7,550 level against the US Dollar. 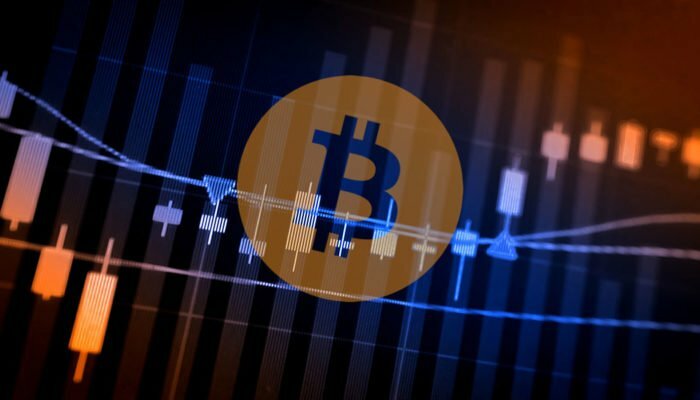 The BTC/USD pair started a downside correction and traded below the $7,400 and $7,350 levels. It also declined below the 23.6% Fib retracement level of the last wave from the $7,050 low to $7,550 high. However, the downside move was protected by the $7,250 support and the 100 hourly simple moving average. 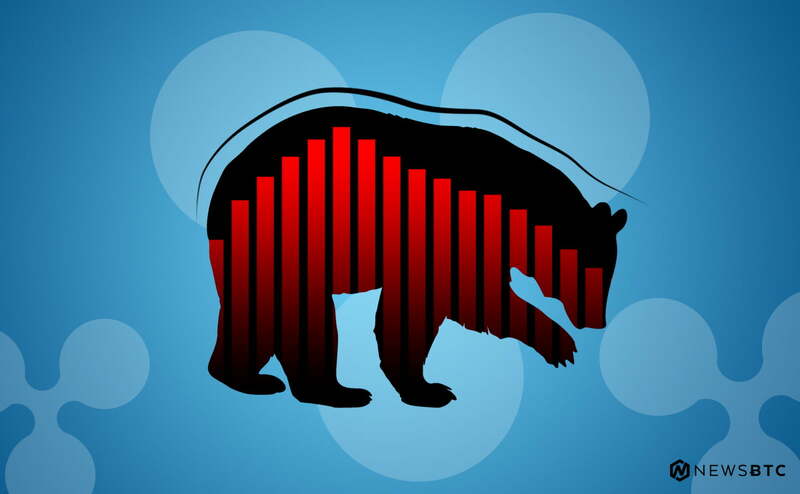 A fresh upside wave was initiated and the price jumped back above the $7,400 level. It also cleared the 76.4% Fib retracement level of the last drop from the $7,565 high to $7,262 low. It seems like the price may continue to move higher and it could accelerate above the $7,600 level. It has to break the 1.236 Fib extension level of the last drop from the $7,565 high to $7,262 low at $7,640 for more gains. On the downside, there is a major bullish trend line forming with support at $7,400 on the hourly chart of the BTC/USD pair. Looking at the chart, the price is clearly in a bullish zone above $7,400. A successful break and close above the $7,640 resistance may perhaps call for a push towards the $7,800 level. Hourly RSI (Relative Strength Index) – The RSI is heading higher into the overbought levels.